Gatwick has revealed figures showing that passenger numbers at London's second airport continue to increase. Total passengers using London's Gatwick Airport in January rose by 5.5 per cent compared to the same month last year. More than 2.3 million passengers flew through Gatwick in January, compared to 2.2 million in the same month last year. The largest growth comes from North Atlantic with 11.4% increase over January 2014, in part thanks to Norwegian Air's low cost flights to New York and Los Angeles which launched last summer. The introduction of the super jumbo A380 by Emirates has helped increase long-haul growth saw travel to Dubai up 12.3% say the airport. "As the world's busiest single runway airport, we are achieving great things, and our continued investment in optimising every aspect of both the passenger experience and the operation of the airport, continues to pay off. The pattern of growth is set to continue but will come at a price and we will struggle to meet demand in future years." said Nick Dunn, Chief Financial Officer at London Gatwick. 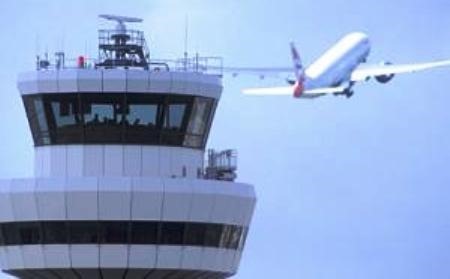 Gatwick is one of two London airports short-listed by the Airports Commission in its December 2013 interim report of potential locations for a new runway in the UK. The other, Heathrow is Europe's busiest airport. "Since it was purchased by its current owners in October 2009 Gatwick Airport has sought to position itself as a competitor to Heathrow, as well as to enhance its position as a key airport for low-cost and point to-point services" noted the Commission*. Gatwick's owners Global Infrastructure Partners purchased the airport from BAA for £1.51 billion and have implemented a £1 billion investment programme to upgrade and expand the airport's infrastructure from 2008 to 2014, with a similar input promised through to 2019, to bring the total to £2.2 billion. "When looking at airport expansion, only Gatwick can deliver the economic benefit and the extra capacity the UK needs at an environmental cost it can afford. Gatwick expansion will also deliver more competition between airports serving London and the UK, as well as greater competition within airlines, offering passengers more choice and helping keep airfares lower" said Gatwick's Dunn.